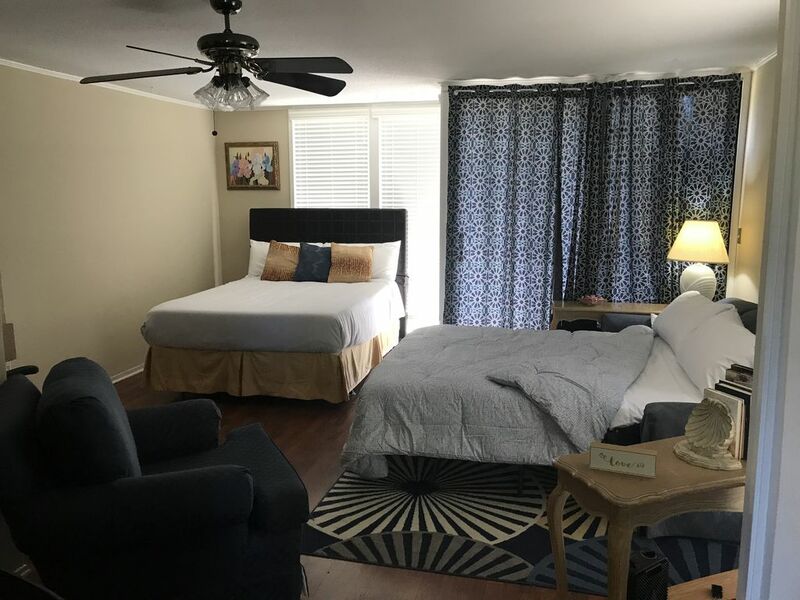 Relax at this beautiful, unique studio situated on a lake right next to the Diamondhead Country Club. Walk over and enjoy the famous Friday night steak night, hit some complimentary drive balls, or practice your putting. Golf amenity packages can also be purchased. Karaoke is on Thursday night, and trivia night every other Wednesday. With access to six pools in the summer and only minutes from the beach, this place is a hidden gem. Relax in the soaker tub, sip a drink on the back porch overlooking the lake, and relax on the comfortable cool gel topper queen size bed. The couch also pulls out into a queen size if you have more guests.